Come explore the possibility with a teacher who has been studying Buddhist philosophy and practicing meditation for more than 30 years. 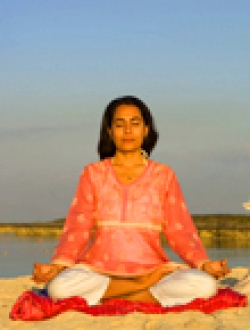 This course offers yoga and meditation practitioners and teachers an opportunity to significantly deepen their practice, learning and training in a range of meditative methods beyond basic concentration and mindfulness techniques, affording deeper access and insight into the true nature of our being. This nature is universal, beyond sectarian or conceptual boundaries of any kind; and so are the methods for realizing it. These methods are best learned through direct, personal instruction from a teacher devoted to mastering them him- or herself. For a PDF copy of the event flyer, click here.